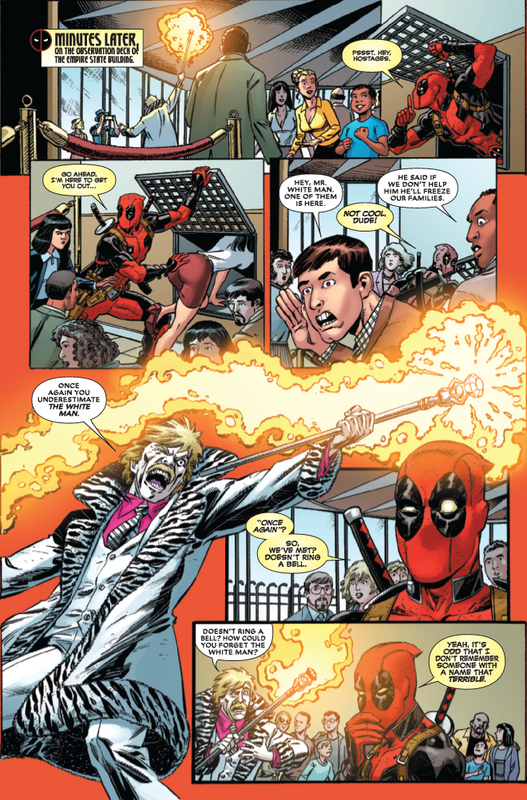 Marvel has provided the following preview of Deadpool #14, which comes out next week on 8/14/2013. 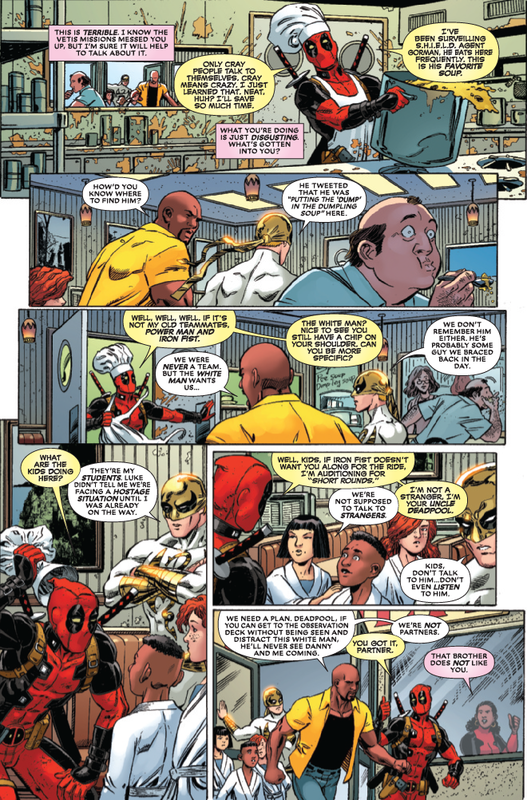 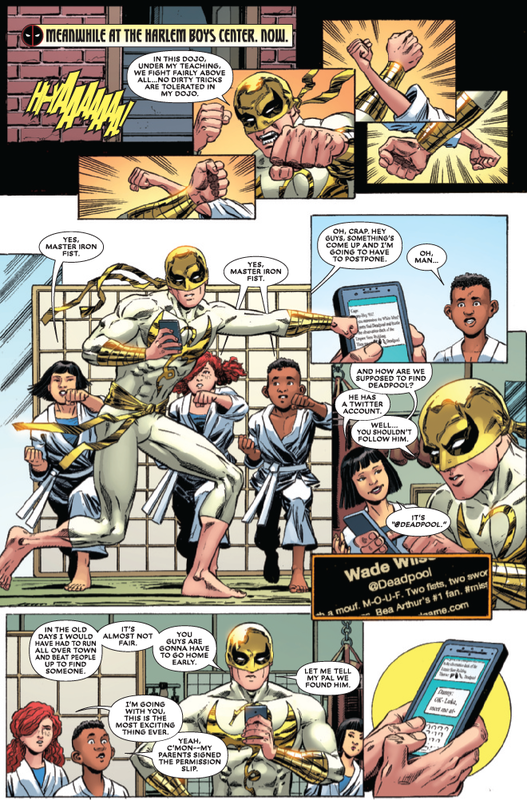 • Deadpool re-teams-up with Iron Fist & Luke Cage 40 years after last issue! 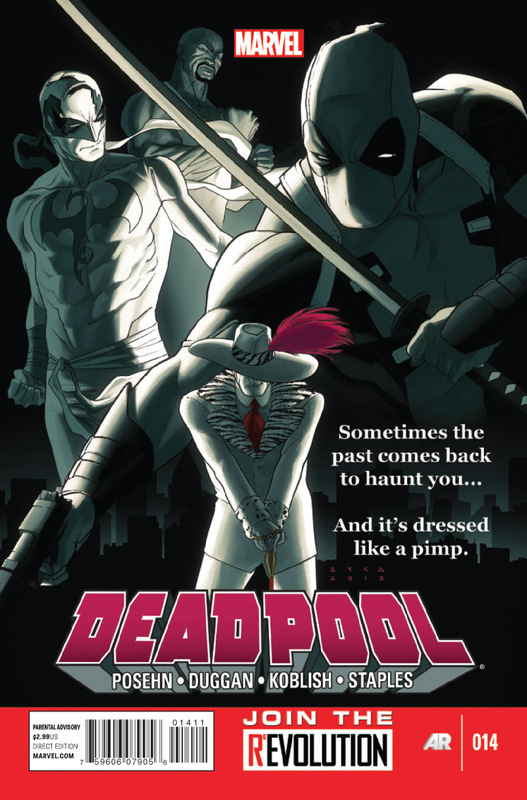 • The threat the Trio-For-Hire faced in the 70’s resurfaces…wanting VENGEANCE!